Beyond the Bunnies. 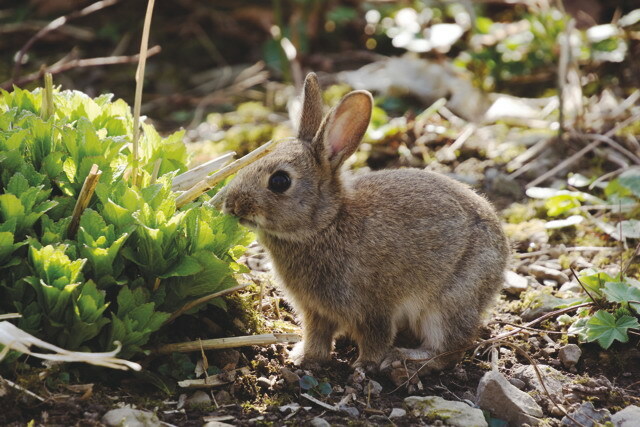 Beatrix Potter’s Gardening Life: The Plants and Places that Inspired the Classic Children’s Tales by Marta McDowell. 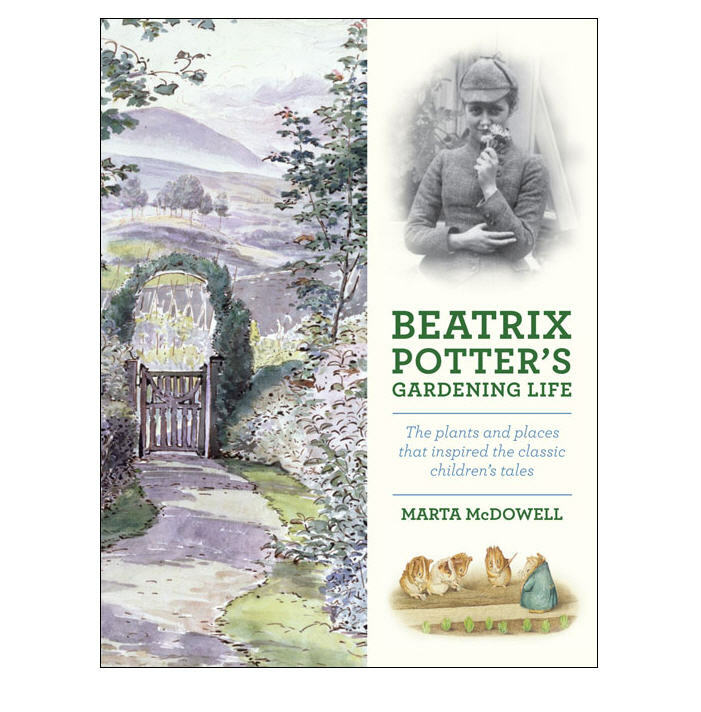 Garden designer, teacher, lecturer and writer Marta McDowell’s new title explores ‘Peter Rabbit’ author and illustrator Beatrix Potter’s love affair with gardening. McDowell answers a few questions from GV’s Joyce Newman about her latest book and how it came together. One of the best books this year for the gardener on your holiday gift list is a gem by Marta McDowell called Beatrix Potter’s Gardening Life: The Plants and Places that Inspired the Classic Children’s Tales (Timber Press, $24.95) Millions of us grew up on Beatrix Potter’s classic stories about Peter Rabbit, Flopsy, Mopsy, and Cottontail. McDowell reveals that Potter not only was a great storyteller, but an artist, a preservationist and a wonderful gardener. Roses at Hill Top. Copyright © Marta McDowell. Used by permission of the publisher. All rights reserved. In addition to being a fascinating chronicle of Potter’s evolution as a gardener, the fact-filled and lavishly illustrated book—packed with period black-and-white and modern color photos, as well as Potter’s own sketches and watercolors—beautifully showcases her unpretentious traditional English country garden style. There is also a very helpful traveler’s guide to the Lake District of England, where Potter lived at Hill Top Farm, and two well-designed charts that identify not only the plants that Beatrix Potter grew in her own gardens, but those that she drew and wrote about in her books, all with botanical Latin names. McDowell is my former teacher whose lively lectures on landscape design inspired me and many others at the New York Botanical Garden. A few years ago, she wrote Emily Dickinson’s Gardens, which I love, and the new book seems to follow a similar path. I recently asked McDowell about her interest in writers who garden and gardeners who write. Q. In your new book, you mention the links between “pen and trowel.” What are they? Q. What are you trying to achieve with your “gardeners’ biography” on Beatrix Potter? A. For readers to come away from the book with an insight into Beatrix Potter as a person—a person who gardened and created a life of plants, places, and people, as well as one who created those charming animal characters. I think of it as “Beatrix Potter: Beyond the Bunnies.” She reinvented herself several times, which I find appealing and also astonishing given the restrictions of her time. Q. Was the book fun to write and how long did it take? A. I was smitten with the protagonist. It’s hard not to like Miss Potter, but writing is work, and like all kinds of work there are days when it feels like you are skipping along hand in hand and other days when it’s more like a wrestling match. I dabbled with the idea starting in 2006, but began working on it in earnest in 2010, and the book came out three years later. Q. The book is so richly illustrated with archival photos, reproductions of Potter’s watercolors and pencil drawings, letters and plates from her children’s books. Did you do all the archival photo research? A. Yes. I spent time in archives in the U.S. and the U.K. and, thanks to technology, was also able to access some image databases online. Because Beatrix Potter’s father, Rupert, was an early photographer. It was a rich man’s hobby in those days. Her garden was well documented. To learn more about Marta McDowell and her work, visit martamcdowell.com. 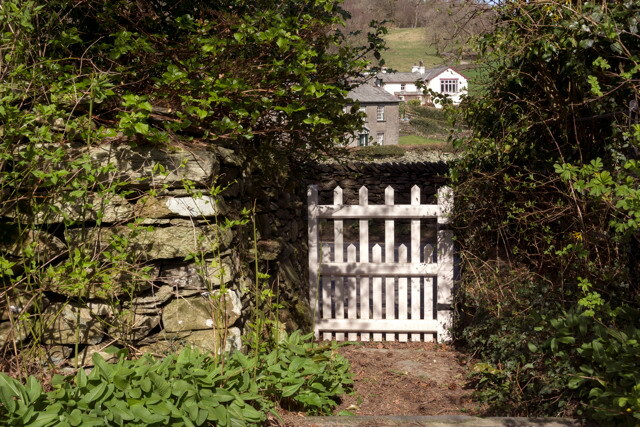 The gate at Castle Cottage. Photographed by Ward. Used by permission of the publisher. All rights reserved. A rabbit descendant. Photographed by Ward. Used by permission of the publisher. All rights reserved. This entry was posted in Book Reviews, Uncategorized and tagged Beatrix Potter, Beatrix Potter's Gardening Life, Emily Dickinson's Garden, English country gardens, Hill Top Farm, Joyce Newman, Marta McDowell, New York Botanical Garden, NYBG. Bookmark the permalink. This is such a lovely post. 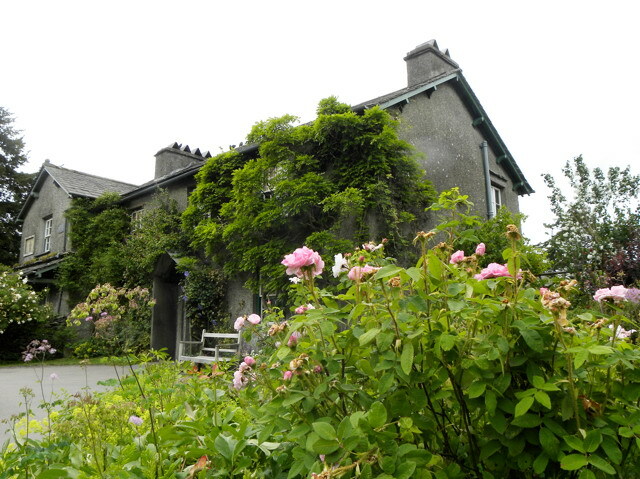 I remember, many years ago, Beatrix Potter’s home, garden, and a snippet of her life was featured in Victoria magazine. What an amazing soul she was. Thank you for featuring more.